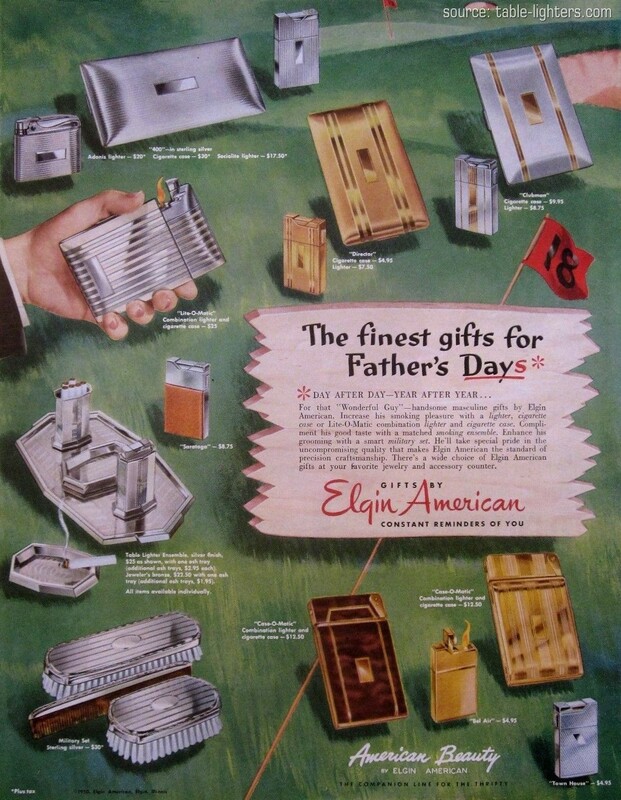 These two full page vintage magazine ads depict some of the smoking products manufactured and/or sold by Elgin American like: Table Lighter 'Ensemble' Set, few 'Case-O-Matics' Combination Lighters, 'Director' Lighter Set and the 'Clubman' Lighter Set, 'Socialite' Pocket Lighters, 'Litter Case' as well the Ronson 'Adonis' Set. The first advert was published on July 1950 in the Esquire magazine and the other in an unknown magazine in 1949. 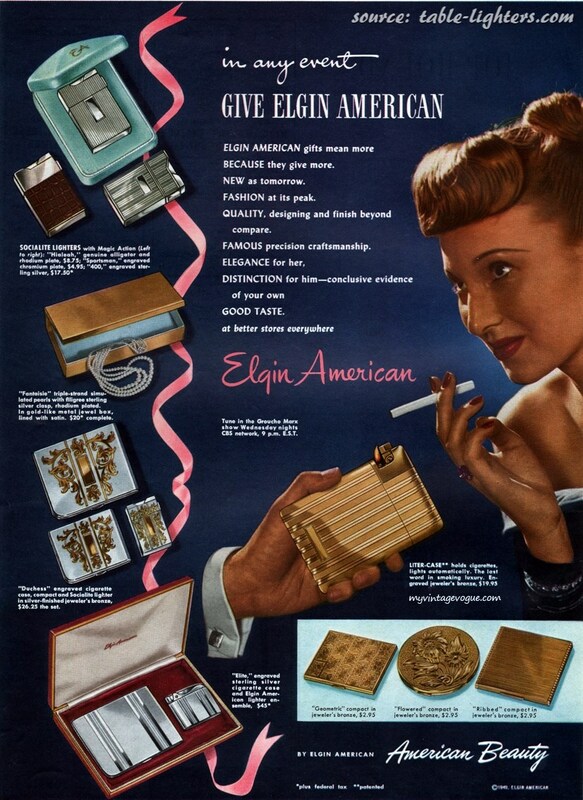 This magazine advertisement published in LIFE Magazine on 24 October 1949 shows the all new and "sensational" Evans Duchess Table Lighter. The Bowling Pin Lighter was manufactured in the 1940s in Detroit, Michigan in the United States by Kem Inc. Beside these lighters KEM was famous for manufacturing advertising lighters in shape of bullets, bottles and cans made both of metal and plastic. This figural lighter was made of ivory/cream colored plastic and advertised as "air tight, leak proof, small and compact". It was sold between 1946 and 1949 for only 39 cents or given away as advertisers by hundreds of companies which decided to include this lighter in their marketing strategy. 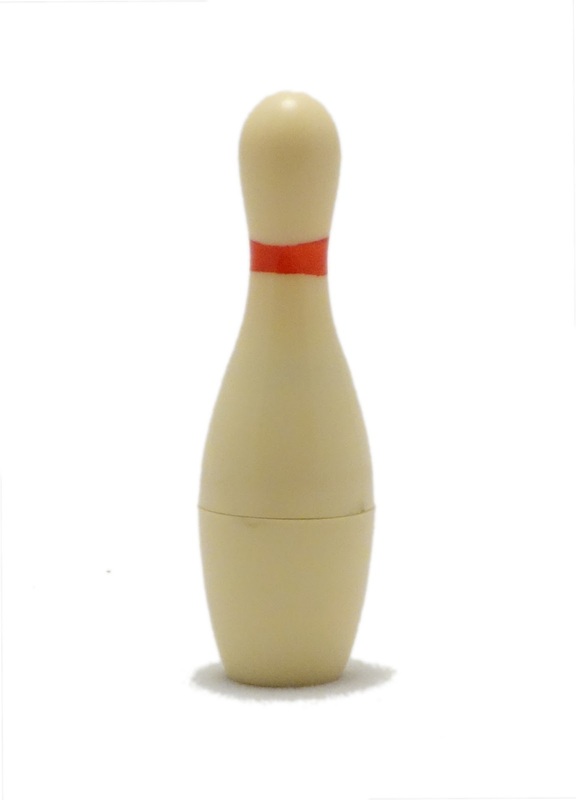 A similar lighter bowling pin only with two red stripes was also made by Atlas Bowling in Japan. 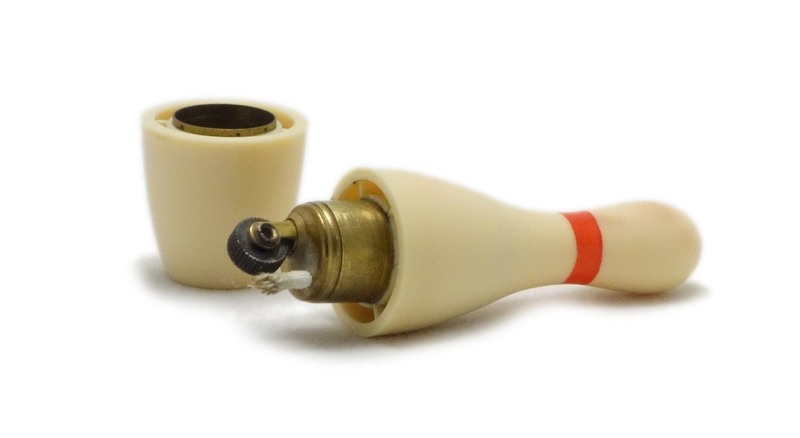 The two halves of the plastic bowling pin casing pull apart to show the simple wick and wheel type lighter made of brass. It is not marked. The Ronson Superba Table Lighter was one of the earliest automatic table models manufactured by Art Metal Works (AMW) in Newark, New Jersey, USA. The design of the lighter was patented by the United States Patent Office in 1929 (patent no. 80,214). This wick lighter was designed by the founder of AMW Louis V. Aronson. The production of this fully automatic cigarette lighter started in 1949 and finished in 1954. It was completely manufactured by Evans Case Co. in Attleboro, Massachusetts, USA. 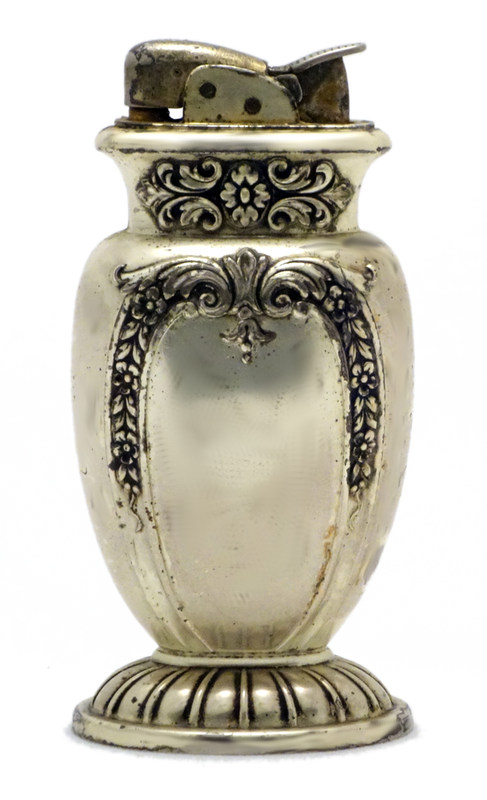 The Evans Duchess has a chased design available in gleaming silver electroplate finish. 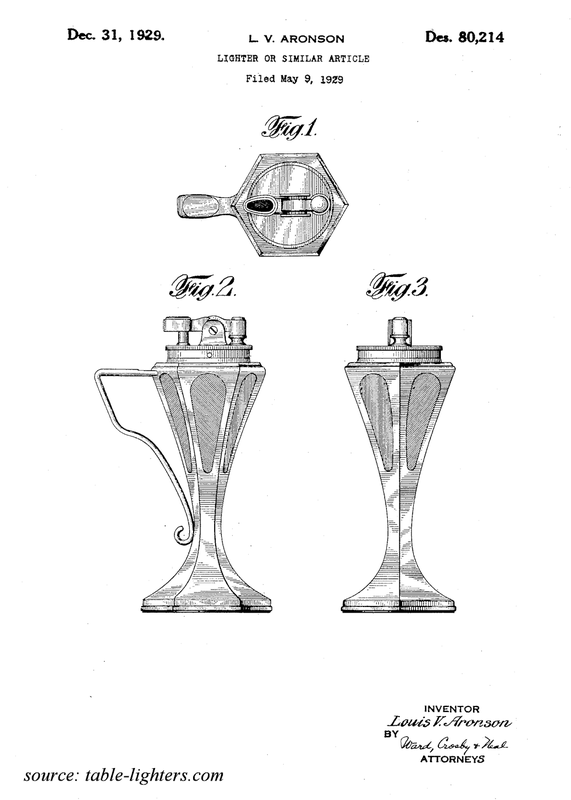 A. F. Reilly – the author of the lighter design – received the patent (no. 153,635) from the United States Patent Office in 1949 (filled in 1948).